Denzel Washington and Mark Wahlberg team up to bring us a buddy cop action comedy that’s reminiscent of all the old good buddy cop films that we come to love. Its old school in its approach, with much of the film resting on the chemistry and charm between our two leads. 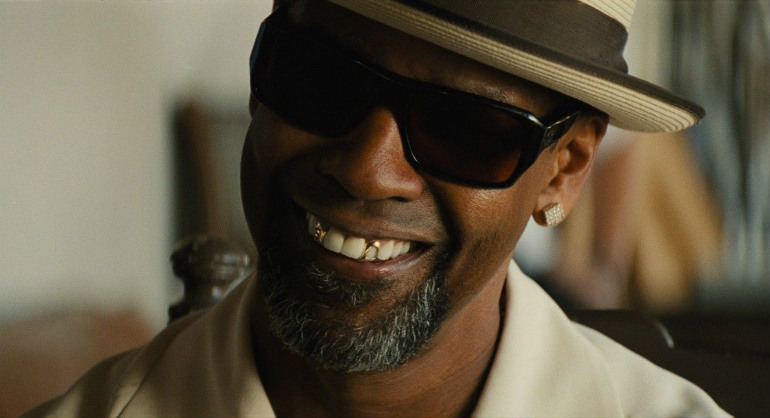 The story revolves around DEA agent Bobby Trench (Denzel Washington) and U.S. Navy intelligence officer Marcus Stigman (Mark Wahlberg) who have been working under cover as members of a narcotics syndicate for the past year. The twist: Neither man knows that the other is an undercover agent. When their attempt to infiltrate a Mexican drug cartel and recover millions goes haywire, their superiors disavow the men. Trench and Stigman must go on the run lest they wind up in jail or in a grave. 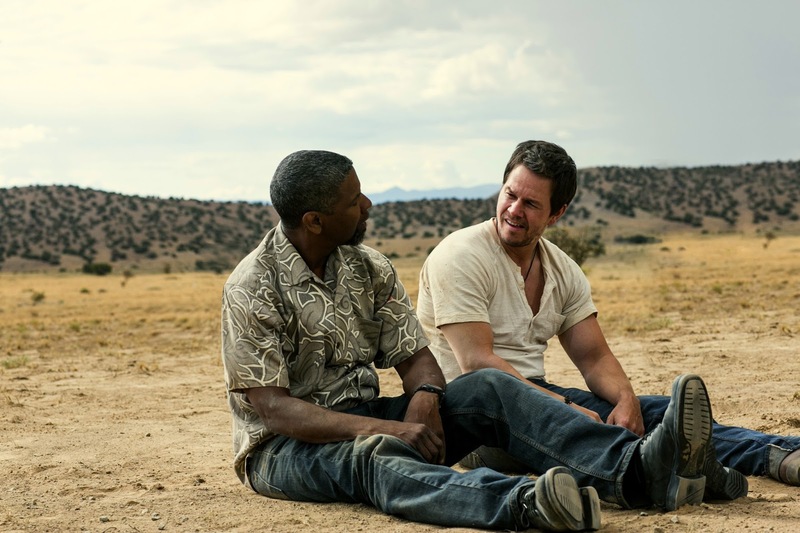 The plot of 2 Guns quickly gets convoluted and all twisted up with the navy, CIA, DEA and a Mexican Cartel all thrown into the mix for good measure. Each one is after the money for various reasons but when you spend more then a minute thinking about everything that has happened, some of it just doesn’t make sense. Thankfully 2 Guns is really a film that doesn’t require you to put your thinking cap on. Instead the film is really just a set up to see Denzel Washington and Mark Wahlberg star in an action fest, with this marking the closest we will ever see Denzel to a comedy. It’s really Wahlberg and Denzel’s chemistry that sells this film. Everything you love about a typical Wahlberg role, he manages to kick up a notch in 2 Guns, while Washington gets in a joke or two, its really sense of dry humour and interplay with Wahlberg that really make them a dynamic duo. Paula Patton, James Marsden and Bill Paxton are the supporting players in the film, and they have just as much fun as our two leads. Especially Bill Paxton, who plays a CIA agent hell-bent on getting the money back. Paxton plays the role with such swagger and yet he really is an intimidating force. James Marsden on the other hand, plays a Navy officer with a cool bravado while showing he has what it takes to be taken seriously as an action lead, playing the role with a physical intensity. 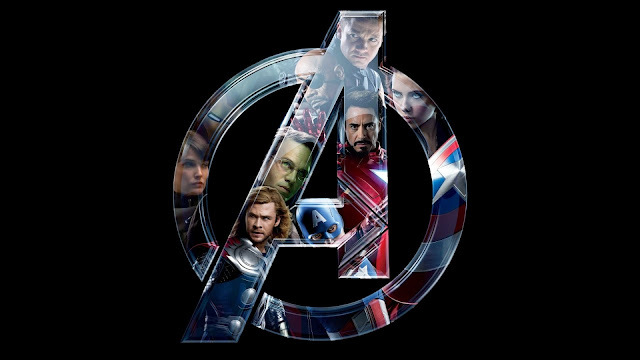 Overall the film is a fun comedic action romp with Denzel Washington and Mark Wahlberg proving to be worth the price of the admission ticket. 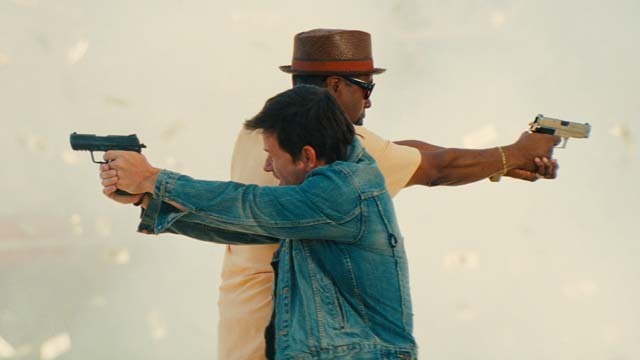 2 Guns proves to be a fun filled action film regardless of the fact that the plot and some characters needed a lot of work.